Home > About AFU > Media Blog > How To use Moodle! 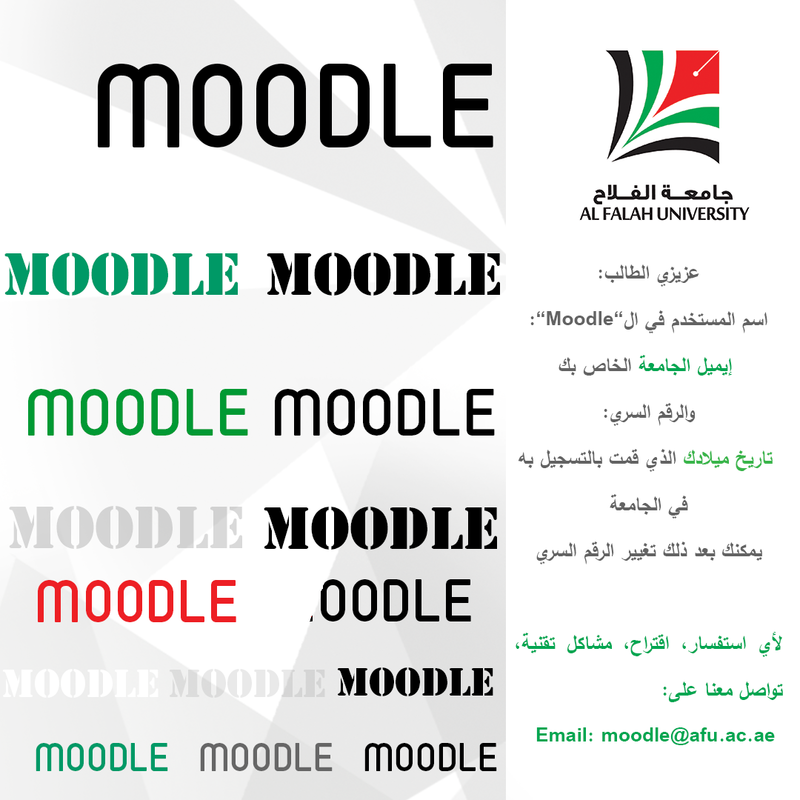 Second Step: Click on E-learning (Moodle). third step: Click on log in. Last step: Enter Username (student email) and Password (date of birth).